Differentials are composed of a series of gears that operate at high temperatures. Overtime, the fluid lubricating these gears will break down and develop a gooey texture that prevents the differential from working properly. If you continue to drive with a poorly lubricated differential, the gears will start to grind and cause expensive damage to your vehicle. By replacing this fluid, you can prevent premature wear on the differential’s gears. Bring your car to JR Auto Repair, and one of our expert technicians will drain the old fluid and replace it with fluid recommended by your vehicle’s manufacturer. JR Auto Repair’ service and repair center is located near Durham, NC. During a power steering flush, one of JR Auto Repair’s mechanics will attach a machine to the fluid reservoir. Inside the machine is an empty container for old fluid and a separate container filled with new fluid. Once attached, we will turn your vehicle on and begin turning its wheels. As we shift the steering wheel, the machine will collect the old fluid and replace it with the new. At JR Auto Repair, we recommend that your power steering fluid be checked at every oil change. Low fluid levels can not only cause expensive damage to other components of your steering mechanism, but can reduce the effectiveness of your power steering. If you’re experiencing any issues or just want to have your fluids checked, come by our service and repair center located in Durham, NC. JR Auto Repair’s technicians are ready to put their knowledge and years of experience to get you steering smoothly! JR Auto Repair is Durham, NC’s preferred service center for transmission fluid and filter replacement. A transmission’s main function is to transfer power from the engine to the wheels via its gears. Consequently, these gears must be properly lubricated and cooled by fluid and the fluid must be kept clean by a filter. Eventually, however, both will become contaminated with particles and will need to be cleaned or replaced. During a fluid and filter replacement, the transmission is drained of liquid and replaced with the manufacturer recommended fluid for your vehicle. If your transmission has a filter, it’s changed and adjustments are made to the linkage and bands. Periodic fluid and filter replacement can prevent some of the wear and tear on your transmission. Visit our Durham, NC’s service and repair center today! Brake fluid is a key component to hydraulically operated brake systems. When compressed, the fluid will generate enough pressure to transfer the force of the driver’s foot pressing the brake pedal to the brakes at each wheel. In order to function properly, brake fluid must be free of any air bubbles and it must contain corrosion inhibitors to prevent from corroding metal components within the brake system. When air leaks into brake fluid it becomes less compressible—gas is much more easily compressed than liquid and can therefore not generate as much pressure. If this occurs, the brake lines will have to be purged of all air bubbles via a procedure called brake bleeding. Similarly, when moisture is introduced into the brake fluid, it causes problems. All brake fluid contains corrosion inhibitors to protect the metal components of the brake system. When moisture is present, it breaks down these inhibitors and can result in extensive damage throughout the brake assembly. At JR Auto Repair, we recommend that brake fluid be replaced every 1 to 2 years, whether there are any issues or not. A vehicle’s brakes are one of its most important safety features and should be checked periodically. If you’re experiencing any brake problems, bring your car in immediately. JR Auto Repair’s service and repair center is located in Durham, NC. Motor oil is the life-blood of your engine—it lubricates all moving parts, inhibits corrosion, cleans, and even cools the engine by minimizing friction. Without oil, all of the moving surfaces within the engine would grind together. The resulting friction wastes power by converting otherwise useful energy into heat and causes premature wear on internal engine components. Both the friction and the prematurely worn parts cause an increase in fuel consumption and a decrease in power output. Motor oil solves both of these problems by creating a separating film between contiguous moving parts within the engine. It also provides them with a protective layer against rust and corrosion. Overtime, however, engine oil will become contaminated by dust, metallic shavings, moisture, and even antifreeze. 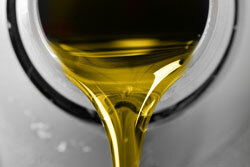 In addition, the additives in the oil will eventually break down and can also become a contaminant. To protect your engine from contaminated or low oil, JR Auto Repair recommends having it changed every 3,000 miles or 3 months, unless otherwise specified by the owner’s manual. Don’t know how to change your oil? No problem! JR Auto Repair has expert technicians and a state of the art service center ready to do it for you. Come by our service and repair center, located in Durham, NC, today for your oil change! As the engine burns fuel to generate mechanical force it creates an enormous amount of heat. If not dealt with, this heat would destroy the engine within a matter of minutes. To solve this problem, a liquid is used that can withstand temperatures above 250 degrees without boiling and temperatures below zero without freezing. The liquid is generally a mixture of antifreeze and water that also contains additives to prevent rust and corrosion. This coolant is circulated through the engine where it picks up heat and carries it to the radiator. Once in the radiator, air coming in from the grill cools the liquid and it is re-circulated. Overtime, the coolant can become corrosive and, if not flushed, can cause problems in the cooling system. Corrosive coolant will eventually lead to overheating and coolant leaks. At JR Auto Repair, we recommend that your vehicle’s coolant be flushed on a regular basis to prevent unnecessary damage to the cooling system. Any leaking, brittle, spongy, or cracked hoses should be replaced before the antifreeze is replaced. JR Auto Repair is proud to provide the Durham, NC area with a wide range of services and repairs for your vehicle’s transfer case. In its most basic sense, a transfer case is a gear box found in four-wheel drive and all-wheel drive systems that sends power from the transmission to the front and rear axles. The gears within the transfer case need to be lubricated in order to stay cool and function smoothly. Overtime, however, this fluid becomes dirty or depleted and needs to be changed. Replacing this fluid will prevent damage to your transfer case and maximize its lifespan. Bring your car to JR Auto Repair and one of our expert technicians will inspect your transfer case for leaks, drain it of all fluid, and replace the fluid according to your vehicle’s specifications. JR Auto Repair service and repair center is conveniently located in Durham, NC.